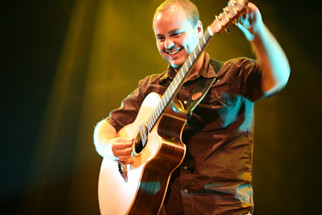 Andy McKee is considered one of the finest acoustic guitar soloist. His fingerstyle technique has earned him world reknown, making his video clips some of the highest viewed for music with over 29 million views. Not only is his sheet music constantly selling out, but his work on Josh Groban’s Christmas album helped to take it to #1 on the Billboard Top 200.